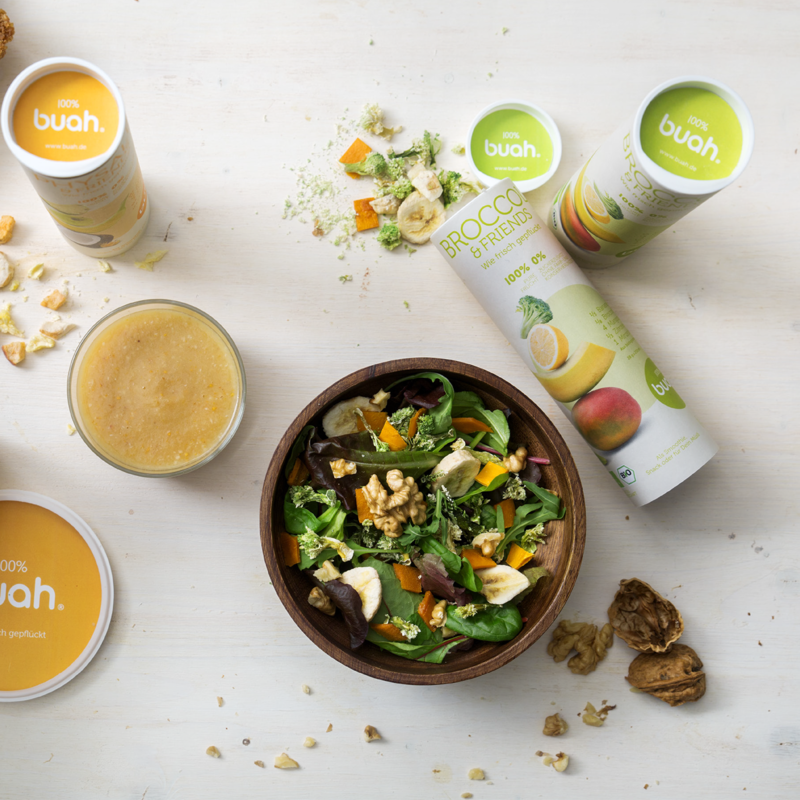 Buah introduced ripe freeze-dried fruits and vegetables. 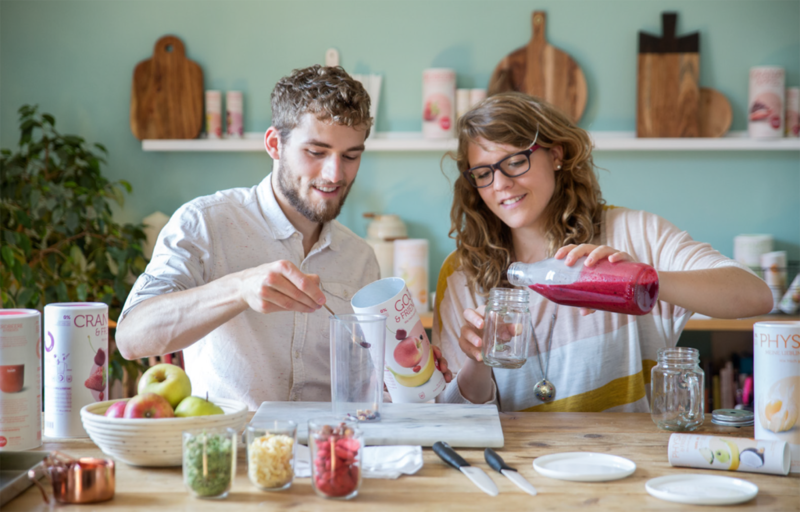 The Buah founders present their products mainly as dry smoothies. The fruits can be stored for up to one year after opening. Have you ever came home from holiday and found forgotten fruits on the table, or a funny smell in the fridge and even an unidentifiable meal in a tupperware box? Well, you’re not the only one. Maybe you like to travel, or maybe healthy cooking is just not your thing. In either case, it’s always nice to have a healthy snack handy when your sweet tooth strikes. The founders of Buah introduced a healthy alternative to sugary bars and tasteless dried fruits. 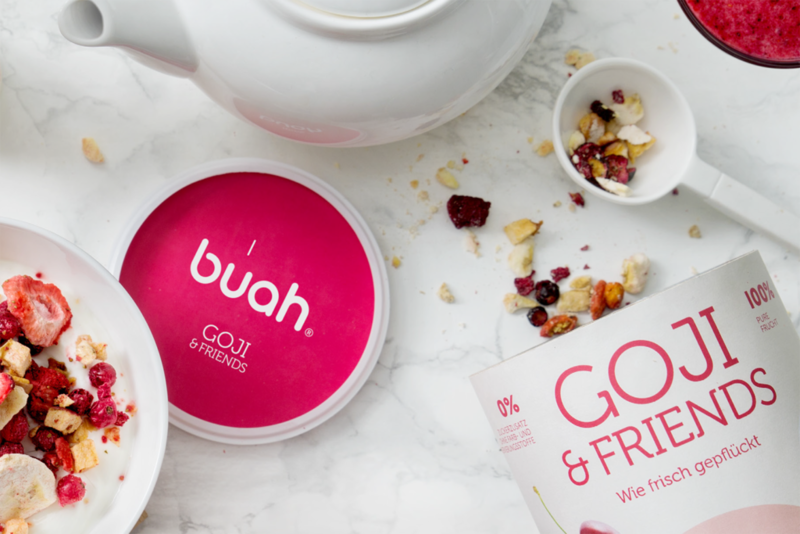 Buah is a Berlin-based startup that offers traditionally dried fruits in an untraditional way. Buah is purely natural dried fruits and vegetables without added sugar, preservatives or colorants. It can be used to prepare a smoothie by adding water or milk and comes in a package that will keep the fruits crispy and yummy for minimum a year. And yes, it’s vegan, gluten- and lactose free. How Does the Buah Fruits Keep the Fresh Taste? The fruits is prepared by the special technique of dry-freezing. During this process, all nutrients and vitamins are preserved for you to enjoy. Thanks to dry-freezing, the water is gently removed from the fruits giving it delicious crispness. Buah is said to consist of freshly harvested fruits and vegetables with a fully ripe taste. Although Buah is presented as a dried smoothie company, the fruits can be used in endless possibilities. As an add-on to your crunchy muesli, as a yummy dip or simply as a healthy snack to pick at throughout your day. Buah was founded in 2015 in Berlin by two Siblings Jessica and Daniel Krauter. Buah stands for “fruit” in Indonesian and represents the ripe and exotic taste of the local fruits. The Krauter siblings were both blown away by the amazing freshness of the fruits they tried in distant Costa Rica and Thailand. They visited these exotic places as a part of their study programme and were disappointed by the taste of exotic fruits in Germany once they came back. It tasted nothing like the fruit they tried abroad, so they came up with a way to preserve this delicious exotic taste. Currently, they’re offering their products online coming usually in two sizes. Apart from fruits, their assortment offers also vegetables such as broccoli or spinach. For more details, visit their online shop or Facebook page.